It's now the late-Summer of 1767. As the eagerly anticipated sequel to Beyond Derrynane opens, having spent almost six eventful years at the court of Maria Theresa, Eileen O'Connell has availed herself of a fortuitous opportunity to travel back to Ireland. Her vivacious personality matched only by her arresting physical presence, Eileen returns to Derrynane this time not as a teenage widow but, rather, as one of the most recognised figures at the glittering Habsburg court. 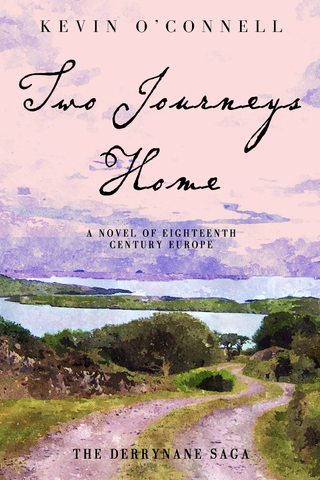 Before departing Ireland several months later, she experiences a whirlwind romance, leading to a tumult of betrayal and conflict within the O'Connell clan. Once back in Vienna she unexpectedly finds her responsibilities as governess to the youngest Habsburg archduchess now linked to relations between France and Austria. Abigail, rather than being eclipsed by her colourful younger sister, has instead ascended to the vaulted position of principal lady-in-waiting to Empress Maria Theresa. No longer "just a girl from deep in Kerry," she is a beloved - and powerful - figure at court. In the continuing saga, the O'Connells will confront intrigue, romance - even violence. Despite their innate wisdom, cunning and guile, what their futures hold remains to be seen. With his uniquely-descriptive prose, Kevin O'Connell again deftly weaves threads of historical fact and fancy to create a colourful tapestry affording unique insights into the courts of eighteenth-century Catholic Europe as well as Protestant Ascendancy–ruled Ireland. Watch as the epic unfolds amongst the O'Connells, their friends and enemies, as the tumultuously-dangerous worlds in which they dwell continue to gradually - but inexorably - change.